Beta glucans are nutrients that may boost immunity and fight bacterial infections, both of which are important for mesothelioma patients. Beta glucans are sugar compounds found in bacteria, yeast, fungi, algae and plants such as oats and barley. They are a source of soluble fiber and research suggests they may reduce high cholesterol and improve skin conditions such as eczema, bedsores, wounds and radiation therapy burns. For people diagnosed with mesothelioma, beta glucans may improve their well-being in addition to other benefits. Supporting the immune system to fight bacterial infections. Enhancing the activity of natural killer cells, a part of the immune system that recognizes and attacks cancer cells. Beta glucans are also prebiotics, which are food for the healthy bacteria in the human digestive system. The collection of bacteria in the gut are collectively referred to as the microbiome. How Does Beta Glucan Work? Research does not indicate that beta glucans can directly destroy cancer cells. Rather, beta glucans work by stimulating the immune system to kill cancer cells. Beta glucans are first absorbed in the small intestine and broken into smaller parts. These substances then enter into circulation where they interact with bone marrow and various parts of the immune system. Enhance immune activation, which translates into anti-cancer activity. Spur immune cells to produce anti-cancer compounds called cytokines, which regulate inflammation and help the immune system fight diseases such as cancer. Researchers have been studying the effects of beta glucan on certain types of cancers. Some studies show it may increase survival times in late-stage cancers. A 2012 study published in the journal Surgery Today shows that Japan approved a mushroom-derived beta glucan for use with chemotherapy to treat gastric cancer and colorectal cancer, and to prolong remission among patients with small-cell lung cancer. Researchers have not studied the effects of beta glucan in mesothelioma patients. Doctors and dietitians generally recommend people consume beta glucans through their diet rather than taking a supplement. However, beta glucan supplements are available and generally considered safe and well tolerated. Barley and oats have the highest amount of beta glucans per serving. One cup cooked barley provides 2.5 grams of beta glucans, while a cup of oatmeal has 2 grams of this healthy fiber. Incorporating beta glucan-rich foods into your diet regularly is a good option for gaining the potential health benefits of this substance. 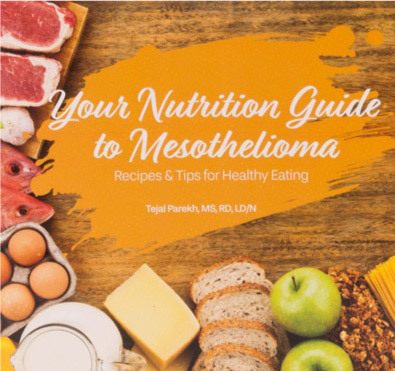 Eating right and balancing your diet while undergoing mesothelioma treatment can help ease your symptoms. Despite the benefits for mesothelioma patients taking a beta glucan supplement, it carries potential side effects and risks. While beta glucan supplements have a good record of safe use, they may not be safe for everyone. These products could worsen gastrointestinal side effects of cancer treatment and interfere with certain medications. If you want to take beta glucan or use any type of complementary or alternative medicine, talk to your doctor or dietitian first to make sure it is okay for you to use these products. Joining the team in February 2008 as a writer and editor, Michelle Whitmer has translated medical jargon into patient-friendly information at Asbestos.com for more than eight years. Michelle is a registered yoga teacher, a member of the Academy of Integrative Health & Medicine, and was quoted by The New York Times on the risks of asbestos exposure. Pan, P. et al. (2019, February 22). The immunomodulatory potential of natural compounds in tumor-bearing mice and humans. Ahluwalia B. et al. (2017, November). Mucosal immune system of the gastrointestinal tract: maintaining balance between the good and the bad. Chan, G.C., Chan, W.K., & Sze, D.M. (2009). The effects of beta glucan on human immune and cancer cells.